Earth Enterprises the industry leading Manufacturer firm of premium quality Packaging Films was incepted in the year 1989. 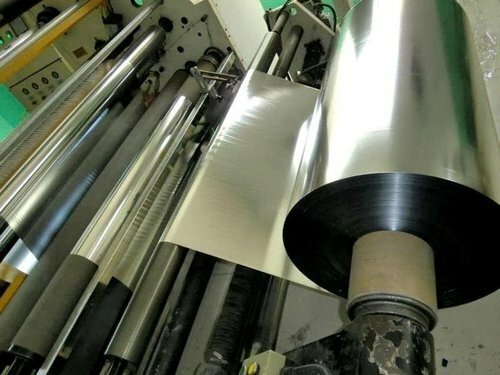 Leveraging the rich industrial knowledge and huge manufacturing experience of our team leaders, we are instrumental in broadening our product portfolio, which includes highly demanded Glitter Powder, Metallized Film, and Metallized Polyester Film. Our success is based on the quality fabrication of our offered packaging products that gained us huge appreciation from our clients for its beneficial properties of heat resistant finish, optimum strength, durability, and competitive costs. Since the inception, we aspired to pay considerable attention to our client needs. We listen to their demands with dignity and respect and endeavor to consolidate the same in our manufacturing process. The proficient anticipation skills of our diligent team members make it easy for garnering the diverse packaging needs of the industry. With an aim to enhance the user experience, we leverage prevailing manufacturing technologies that add unswerving value to our products. We owe a sincere gratitude to the challenging spirit that our team members are blessed with. Their passionate approach and technological adeptness earned us a repute of most trusted business entity.